Eight years ago I had the privilege of being taught and inspired by Jane Packer, a journey which led to the birth of The Flower Fairies. 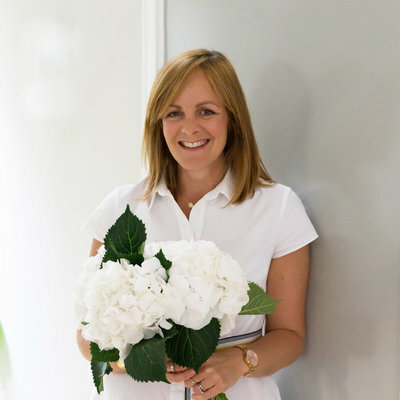 She was an internationally renowned florist who inspired many already in the flower industry but also many to venture into the magical world of flowers. I think this was a big part of her legacy, her floral gifts were generously shared which opened up doors of opportunities for flower lovers all over the world. 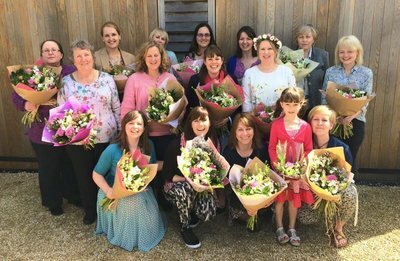 The Flower Fairies Flower School is our way of paying it forward and sharing with others the skills and magic of flowers. 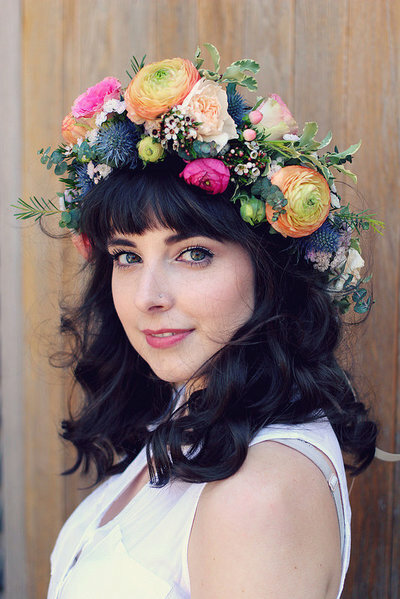 Whether you want to learn a few tips and enjoy a day of floral creativity or go another level and learn some professional skills and techniques there is a course for you! 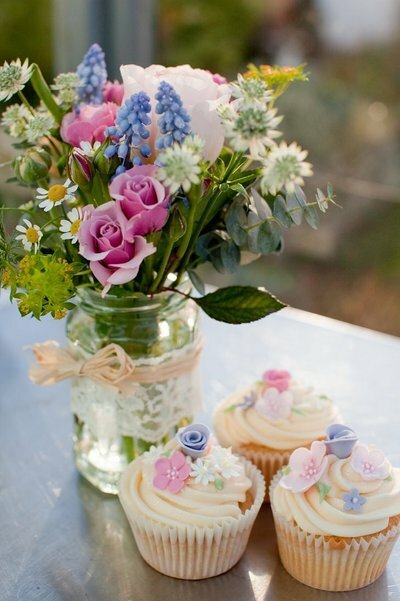 We have a beautiful studio located just north west of Oxford that can accommodate up to fifteen people and with all of our courses all materials are included, we throw in a few yummy cakes too an essential ingredient to any florists day! 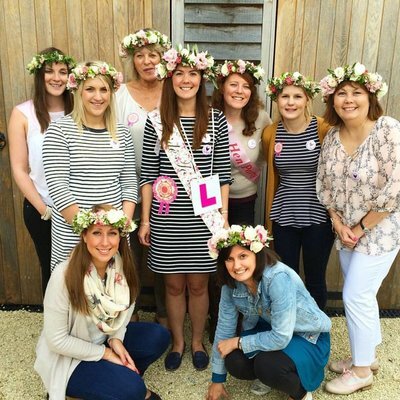 We can also offer bespoke courses, for example Hen Parties or special occasions, if there is something you are interested in doing and don't see a course that fulfills this, do get in touch. Join us to learn how to make a beautiful Christmas wreath full of the seasons offerings. From an abundance of foliages, berries, seed heads, dried fruits, luxurious ribbons and plenty of sparkle if you like a bit of bling there is a wealth of materials to choose from. 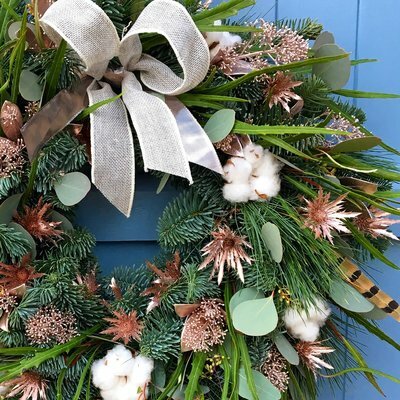 The workshop includes a demonstration on how to make your wreath, all your materials as well as some festive refreshments and is sure to set you off with all you need to embrace the fun and joy of the Christmas season. You will also be supporting a great cause as a percentage of the proceeds will be going towards the vulnerable in Oxfordshire, helping them to enjoy what can be a difficult time. 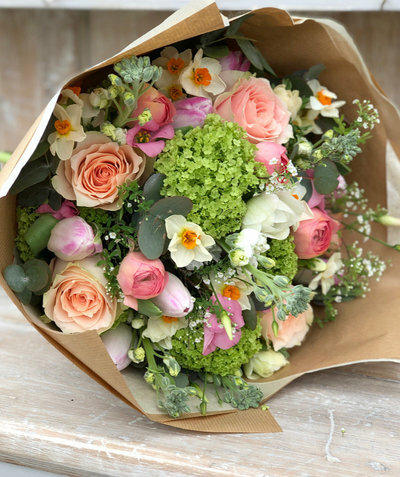 Join us to learn how to arrange a selection of spring blooms and foliage into a hand-tied bouquet. 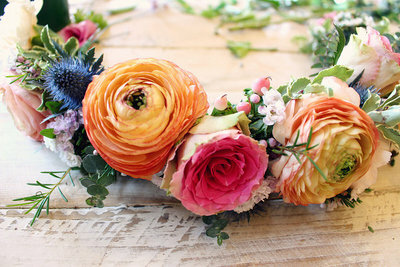 Using a spiralling technique you will learn how to hold and arrange the materials into a beautiful dome of flowers, which you can then wrap from a choice of tissue, paper and cellophane. 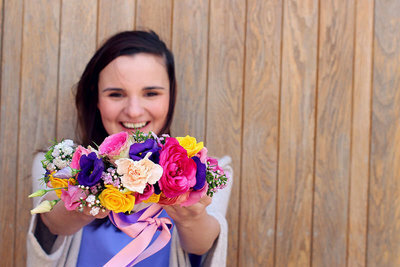 This is a basic floristry technique that can be used to arrange flowers in vases at home or for presenting flowers as gifts to others, it can also be used as the foundation upon which to learn how to create bridal bouquets. All materials are included as well as refreshments including cake of course! 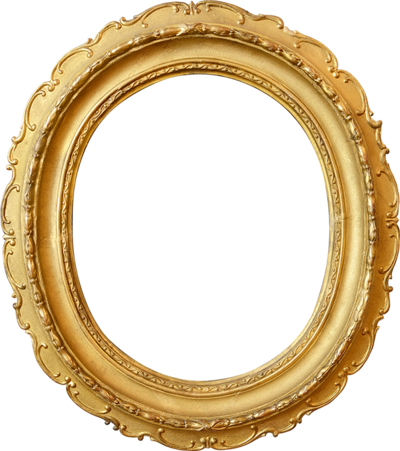 Why should we wait till Christmas to adorn our doors with beautiful wreaths? 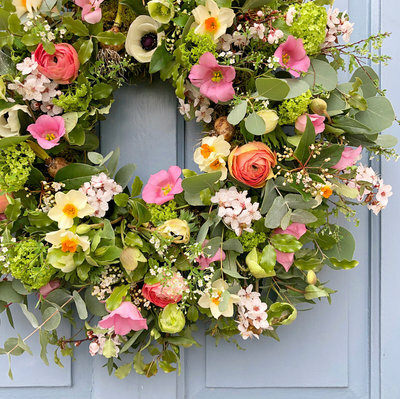 There is a growing love and desire for a wreath on our doors at other times of the year so now you can join us to create a beautiful Spring wreath. Using the same principles and techniques as our Christmas wreaths we will be making a wreath full of seasonal foliages, mosses, twigs, blossoms, bulbs and spring flowers. The beauty of this arrangement is that it would also make a stunning center piece for your Easter table by popping some pillar candles into the middle. 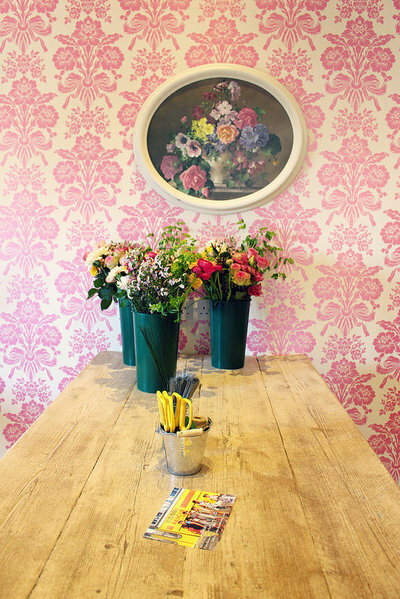 All materials including a lovely selection of real flowers as well as refreshments are included. Once we receive your booking form, we'll be in touch to arrange payment & send you all the details!